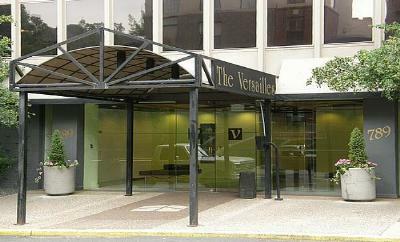 The Versailles is a retro, modern high rise in the Cheesman Park neighborhood. Lots of windows and walls of glass make this one of the more desirable buildings in the area. Entering the property you are greeted by a large canvas painting in the front lobby. Denver artist Ed Hyatt was commissioned to paint a retro mid-century painting (styled after the 50s and 60s icon artist Franz Kline). 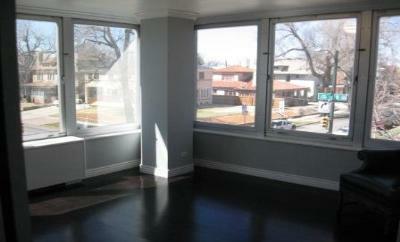 Studios to three bedroom condos are available, ranging from 373 to 1,101 square feet. 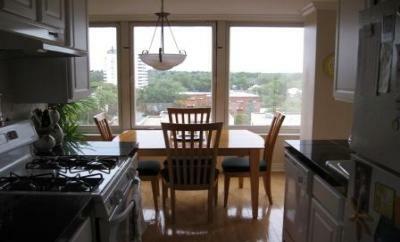 Many of the condos have been upgraded with modern finishes that include stainless steel appliances, contemporary light fixtures, tile and hardwood floors. 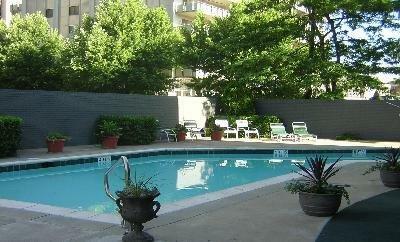 The Versailles residents enjoy the pool, courtyard, and fitness center, as well as have access to garage parking! These condos are on a beautiful street that has mature trees, gorgeous mansions and countless pubs and restaurants within walking distance.